More than 68% of expense reports are filed during work hours (DATABASICS, 2017). This means that unless your job is only to file expense reports, workers are losing time working on their actual job. But, expense reports are probably only a small responsibility of that actual job, making it essential to acknowledge the time that goes into writing them. In one case, a Twitter user noted the paradox in wasting time at a conference (that he’d been paid to attend) filing expense reports for the trip there and the pass to get in the door. The reason why we take such care (and thus such time) with our expense reports is to avoid breaking any rules, whether business rules are mandated by company policy or by the government. The solution to the problem of managing receipts in combination with policy compliance is automation. Without automation, expense report approvers have to manually look over each entry to find whether the receipts match the report and how that matches up against established policies. We’re on the side of not putting too much policy on the side of the end user. Let the automated system match up against policies to determine compliance. 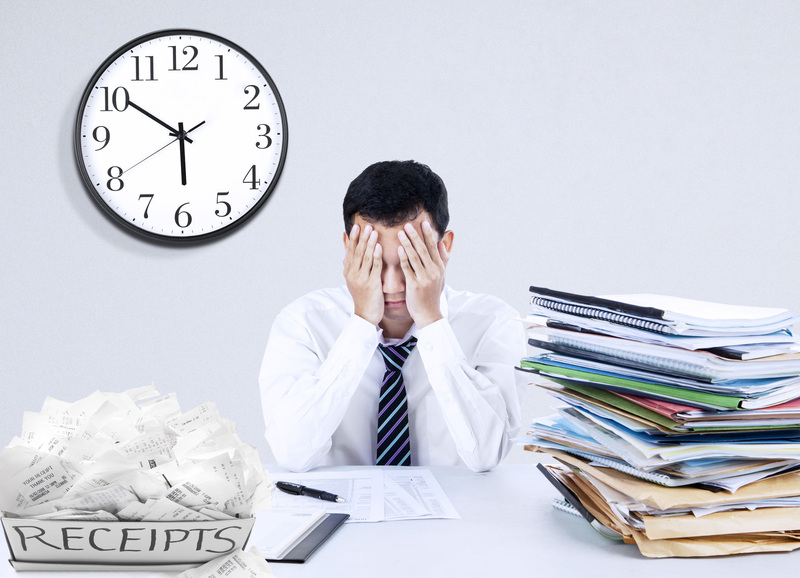 The latest technology in receipt management allows you to scan receipts with mobile devices, but only the best expense software uses OCR (optical character recognition) to automatically populate the expense report form with information from the receipt imaging. This would be ideal for the poor guy at the conference. Just a quick snapshot of his receipts would leave him more time to attend a valuable professional development session. Automation is essential for your company’s bottom line. It can be taken for granted that since expense reports are part of the established system, their cost in terms of time and brainpower is inherent. That assumption is wrong. After all, how much money is wasted paying employees to file expense reports when an automated system can do the same job in less time and with improved compliance? And think of that misused intellect and energy. Every time an expense report lands in your inbox or on your desk, we’d like you to consider this: Are you asking too much of your employees when a system can handle it? Or, what couldn’t your employees accomplish today? DATABASICS. (2017). [Expense report filing submission times]. Unpublished raw data. An automated expense reporting system, like the one provided by DATABASICS Time & Expense, eliminates time consuming manual processes. For more information, contact us or call (800) 599-0434.